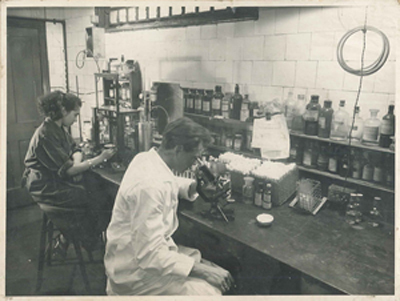 Labcold was founded in 1932 as Boro Dairy Laboratories and Appliance Company Limited. Originally the primary business was to provide a laboratory analytical service to London’s small dairy suppliers who often kept cows in a back yard or even a basement. During WW2 the analytical laboratory suffered a decline as small dairies ceased to exist and free national testing of milk was available, however, after the war the laboratory turned to testing ice cream and the company became appointed analysts to the Ice Cream Alliance. In 1946 the company moved to Catford, and in the following years closed the analytical laboratory to further develop its growing laboratory equipment business, including supplying specialist temperature control equipment for the medical, food, pharmaceutical and life science related applications. The company shortened it’s name to Boro Labs to reflect this change of direction. In 1974 the company relocated to Aldermaston to be closer to its customers which included the Milk Marketing Board, Heinz, Associated Foods, AWE Aldermaston and the NHS. By this time Boro Labs was gaining a growing reputation for the supply of Ultra Low Temperture Freezers, sparkfree laboratory refrigerators and freezers and blood banks. These products were all sold by the growing ‘Labcold’ division of the company, which was begining to serriously out perform other areas such as LabHeat, which sold autoclaves etc and the equipment division. In 2007 Borolabs was renamed Labcold to coincide with the company’s 75th Anniversary. The success the company had supplying and manufacturing quality medical and scientific refrigeratos and freezers meant that the decision was taken to concentrate on this specialism and this was now the direction the company would take. This change of direction was so successful that December 2012 saw Labcold celebrate not only their 80th year in business but begin to start looking for even larger premises. Today, Labcold is well established as a leading specialist manufacturer and supplier of medical and laboratory refrigerators and freezers in the UK. Labcold refrigerators and freezers have developed a reputation with large corporate and medical establishments for being safe, secure and reliable. Labcold registered medical device blood bank refrigerators are now the UK market leader, complemented by a variety of other temperature related products for a blood transfusion department use such as platelet agitators and reagent refrigerators. 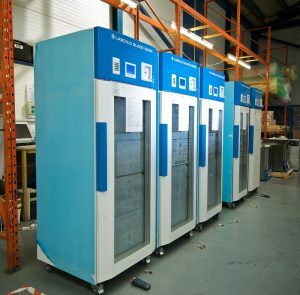 Labcold were the first UK manufacturer of Blood Bank refrigerators to gain medical device registration for their products. 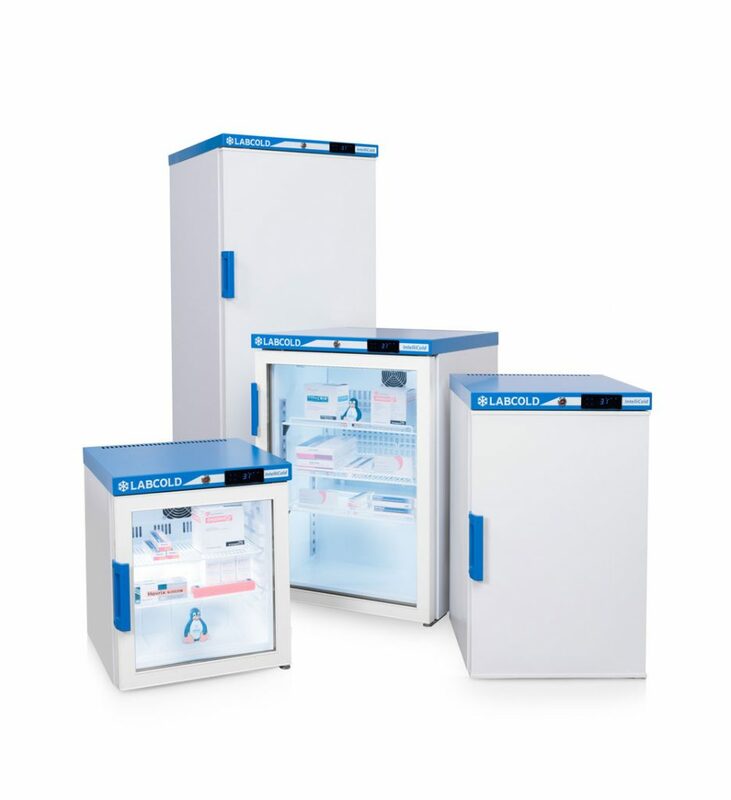 In 2012 Labcold launched the all new IntelliCold® range of pharmacy refrigerators with a range of new features including integral data logging and alarm battery back up. These pharmacy fridges have since become the preferred brand for a number of NHS Trusts due to their 24/7 autoamtic data recording, digital lock option and alarm battery back up. At a time when most UK business halted investment, 2019 saw Labcold release a new range of IntelliCold® refrigerators with a new touch screen controller designed to be easy clean and to prevent the settings being change inadvertantly. As you would expect, all Labcold products are CE marked to confirm they comply with current EC safety and other directives and are manufactured in accordance with ISO9001. Later this year we hope to have finished testing on a new range of laboratoy refrigerators too. Customer service forms the cornerstone of Labcold’s continuing competitive advantage. An integrated manufacturing, maintenance and repair facility allows customers to benefit from rapid deliveries and regular servicing. Accredited service technicians are on hand to commission units on site and deal with any queries about operation. All installation problems are dealt with quickly and efficiently, with an Account Manager from Labcold conducting site surveys to ensure the best and safest route of entry into the building. Our account managers are happy to liaise with project managers, builders and contractors to ensure that all projects, no matter how large or small, are completed with minimum disruption and within timescales agreed. Labcold has also become a UKAS temperature calibration laboratory no:8898. In our first full year we have calibrated almost 5,000 refrigerators and freezers on customer sites and after manufacture. Over the years, Labcold has seen a significant growth in equipment sales into medical, pharmaceutical and biological science related laboratories. Sales through U.K. and export distributors have complemented supply through our own specialist sales forces. 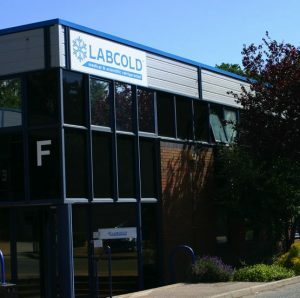 With repeated success in winning major contracts to supply new hospitals and pharmaceutical companies, as well as routine purchases of fridges, freezers and incubators, Labcold continues to see turnover increasing steadily with growth of products and services providing scientists with the best possible solution to their temperature control and monitoring requirements now, and well into the future. 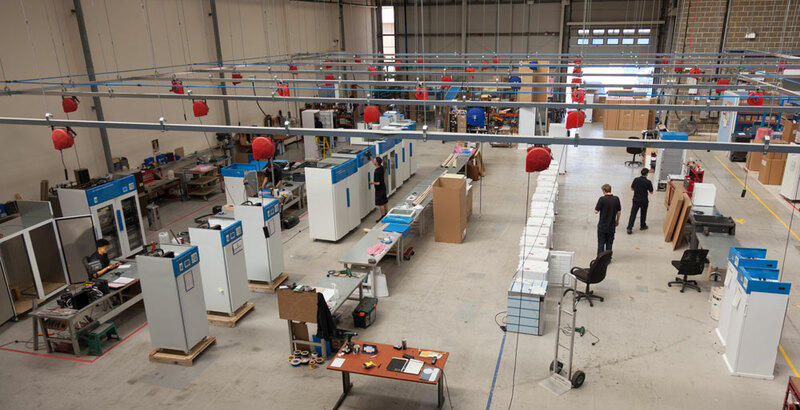 Our contract maintenance has also taken off, gaining more and more business in the UK. As a result, it is time for it to take on it’s new identity and in the coming months it will take on it’s own identity as Labshield®. All the service technicians will remain to be trained by us and follow UKAS methodology so you can be confident that you’ll still be getting the best to maintain your Labcold fridges and freezers. The only difference customers will notice is a jazzy new logo and even more comprehensive and flexible maintenance packages.